Scottish Inn Hotel Jacksonville, Hotel null. Limited Time Offer! 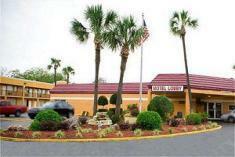 This Jacksonville hotelRead more is of a Budget category and is a two star . You will find several amenities such as : Television.High speed internet is available in this hotel.You can reach Jacksonville in 37 minutes by car (the airport is 11 miles from the hotel).